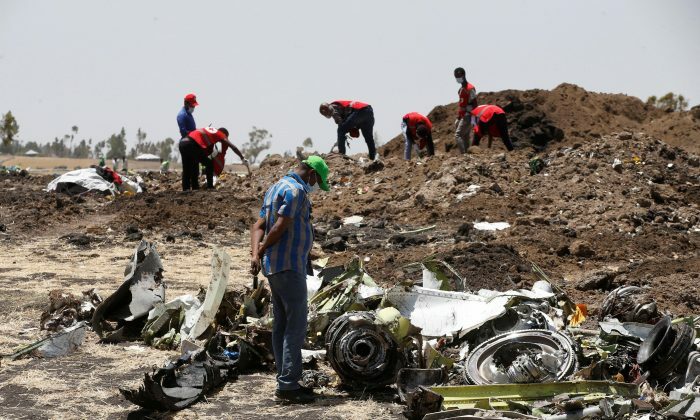 PARIS/WASHINGTON/ADDIS ABABA, Ethiopia—Europe and Canada said they would seek their own guarantees over the safety of Boeing’s 737 MAX, further complicating plans to get the aircraft flying worldwide after they were grounded in the wake of two accidents killing more than 300 people. Boeing Co. declined to comment. The U.S. Transportation Department’s inspector general plans to audit the FAA’s certification of the jet, an official with the office said on March 19. The office can recommend changes or improvements to how the FAA operates. Boeing said it would cooperate with the audit. Black box data was downloaded in France but only Ethiopian experts leading the probe have access to the dialogue between Getachew, 29, and Mohammed, 25. The data was back in Addis Ababa on March 19, sources familiar with the probe told Reuters. Experts believe a new automated system in Boeing’s flagship MAX fleet—intended to stop stalling by dipping the nose—may have played a role in both crashes, with pilots unable to override it as their jets plunged downwards. Lawmakers and safety experts are questioning how thoroughly regulators vetted the MAX model and how well pilots were trained on new features. For now, global regulators have grounded the existing fleet of more than 300 MAX aircraft, and deliveries of nearly 5,000 more—worth well over $500 billion—are on hold. U.S. President Donald Trump is expected to nominate former Delta Air Lines executive Steve Dickson to head the FAA as early as March 19, two people briefed on the matter said. The agency has been without a permanent head for 14 months. In the hope of getting its MAX line back into the air soon, Boeing has said it will roll out a software update and revise pilot training. In the case of the Lion Air crash in Indonesia, it has raised questions about whether the crew used the correct procedures. Argus Research cut Boeing stock to “hold” from “buy”, giving the planemaker at least its fourth downgrade since the crash, Refinitiv data showed. Its shares, however, were enjoying a rare respite on March 19, up 0.4 percent at $373.76. “I’m just so terribly sad. I had to leave here without the body of my dead brother,” said Abdulmajid Shariff, a Yemeni relative who headed home disappointed on March 19.